* How about your clothes? One of Eliene’s first questions that she thought of before she got a stoma was: will the bag be visible under my clothing, will you see a huge bulge?” the answer is no! Nowadays the stoma bags and base plates are made of a flexible material, which adjusts to the line of the body. If you do not allow the bag to become too full, then you will not, or hardly, see it. Sometimes you can see it with thin or see through materials; however others do not know what it is, even if they can see it! She still wear tight shirts, as you can see below. If you always wore tight clothing before you got your stoma, you don’t have to suddenly wear baggy clothing. Just wear what feels best to you. However one tip is to wear a thin shirt, blouse etc like a vest, so that the bag is pushed flat and you cannot see it. Another question of Eliene was: “and what about my underwear, do I have to wear high knickers now and can I no longer wear strings?” It depends on what you find better: You can wear your bag inside the underwear or allow it to hang outside. If you prefer to wear your bag inside your underwear, then you are better off wearing underwear with higher elastic, so that the bag is totally inside. If you prefer to wear your bag over your underwear, then you can use lower underwear, including strings. It is actually the same for men. . There are also special shops where you can buy special lingerie for people with a stoma such as: Matema and	Stomaswimwear. You can also have made to measure lingerie made precisely to your wishes: Lingerie Unlimited and Maatlingerie. This lingerie often has a pocket inside wherein you can insert your stoma bag. Your stoma is normally a couple of centimetres below the navel. It is advisable that the waistband of your skirt or trousers is not sitting precisely on your stoma. This is because it could damage your stoma and you also have a chance of leaks because the faeces or urine cannot drain away easily. Training or jogging trousers are very good for the first few weeks after the operation. Luckily you have a lot of choice there nowadays. Trousers with a wider waistband sit well, stretch trousers or trousers with an elastic waist band. However often just wearing one size larger works well. For men the manufacturer Fostex is an idea. 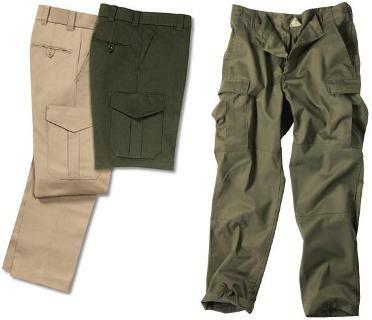 The trousers are predominately made out of cordura, and they are available in outdoor shops. What is special about the trousers is the waistband has pieces of Velcro on the left and right hand side. You can adjust the trousers with these, making them looser but you can also gather them. You can change your bag without any problems. Some women do not like to wear skirts, because they feel they have less support. However, naturally you can wear skirts as usual, using an extra pair of knickers for example. You must decide for yourself if you prefer trousers which sit beneath, or above, your stoma. It is up to you to find out which trousers you prefer, but you will see there is plenty of choice to find something nice. Darker clothing can give a safer feeling; leaks are less visible on a dark background than a light colour. Finally, clothing with a front fastening is much easier for caring for the stoma, a dress or gym slip is harder, especially if you go out. It depends on your posture if you can wear a belt. Eliene wear them for decoration, therefore somewhat looser. There are also special companies which can make special made to measure clothing. For example: the company "Not for anybody". Eliene found that the waistband did not sit well and she did not want to get rid of all her hipsters due to her stoma so she searched for a different solution. She found a seamstress to adjust all her trousers. On the waistband, where the stoma sits, she inserted a piece of elastic, so that the stoma is not trapped. Some of her trousers had to be disposed of nether the less because there was too little room for her output, but she can wear most of them again! It is an investment, but fortunately it is tax deductable. As you can see, there are enough solutions, so don’t stress about it! Naturally you can still swim with a stoma. It is just about finding which swimwear you find the best. One person prefers a swimsuit or trunks where you can see nothing of the stoma bag, which the other person does not mind if a bit of the stoma bag sticks out. Fortunately there are a large number of different models and designs nowadays. There are even special shops which sell swimwear for people with a stoma, such as Stomaswimwear, bad en strandmode, A3 Swimsuits and Matema. Some people have themselves sewn in a pocket for their stoma bag. You can also have made to measure swimwear made precisely to your wishes. Men are often helped with a higher (patterned) boxer shorts or a sports short with an inner. Women can choose between a bikini and a swimsuit. A stoma is least visible if the material has a pattern, or if the colour bands pass over the stoma for example. You can often buy swimwear with a matching pareo (wrap), which is very good if your bag is full for example. Beneath are 3 examples of specially made swimsuits for people with a stoma. Picture source: Stomaswimwear (first), White rose collection (last 2). Eliene in a swimsuit, with no stoma to be seen? A bikini is still possible. You can choose a model with higher pants, waist high, so that your bag sits totally in the pants. Eliene has no problems if the bag is visible above the bikini bottoms and wear a normal low bottom, but you are more visible and have less support. A tankini is also an option, which is a pants with a matching vest. Nowadays there is also the semikini or monokini. This is actually a combination of a swimsuit with a bikini. It is ideal for people with a stoma, because the bag is barely or even totally invisible and yet you feel as if you have a bikini on. One tip for sunbathing: buy a children’s swim band. Blow it up lightly and lay it under your towel, then you can lie on your stomach, and keep the stoma free. There are special stoma belts which you can use in the sauna or for intimate moments for example. If you fold your bag in half underneath, you cannot see it. You can buy nice Ostomy belts from the German site "Stoma na und" and from "Design your stoma.nl", which is an initiative of Stomaatje. Picture source: Top row, first 2 Lynda, last My heart ties. If you are handy with a needle, you can make your own covers. There are various ways to make one, we shall describe beneath one way. You begin by drawing around your bag on the reverse of a piece of material, so that you have the correct size of your bag. Then cut around your drawn line, about one centimetre distance form the line. Repeat so that you have a front and a back. If you want an opening at the front then you cut it slight differently (see bottom picture). Some materials will need to be zigzagged with the sewing machine first. Do not forget to cut out a hole in one of the two pieces. For this take the circumference of your flange (the opening in the base plate). You can do this quite easily by pressing the flange onto the material. Then you can see precisely how large the hole should be. Zigzag the opening as well. It’s up to you how you then finish the opening; you can finish it with a nice edge, or you can thread elastic through. Then lay the two pieces together, with the drawn line outwards. Hold the tightly together so they cannot move during the sewing. Now sew over the drawn line. Then turn the material right way round, and you have your cover! You can decorate it with appliqué or stick/sew other decorations on. We regularly get questions about how such a cover works; they just do not understand how to get the cover over the bag. Therefore we have included a short explanation in photos: You take hold of the stoma bag and push it through the round opening of the cover. Not from beneath! It can be a little difficult but once you have the bag inside the cover you can flatten it out again.